JLH Ventures was honored to work with G. Greene Construction this week on their 50th anniversary celebration! The company is a highly respected and well known construction company in the New England area working on countless high end projects over the years. 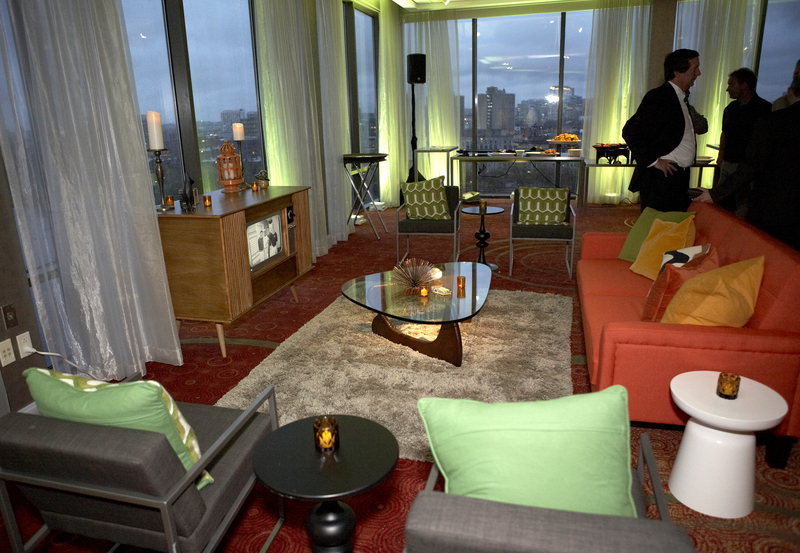 The event took place at the The Hyatt Regency in Cambridge which has special meaning to them as G.Greene Construction converted the legendary Spinnaker Lounge into the Charles View Ballroom in 2006. It just seemed fitting that they would come back to celebrate in a room that has some of the best views of the city and that they worked on. The look and feel of the night was a throwback to the 60’s and what better way to celebrate then with the Mad Men theme! 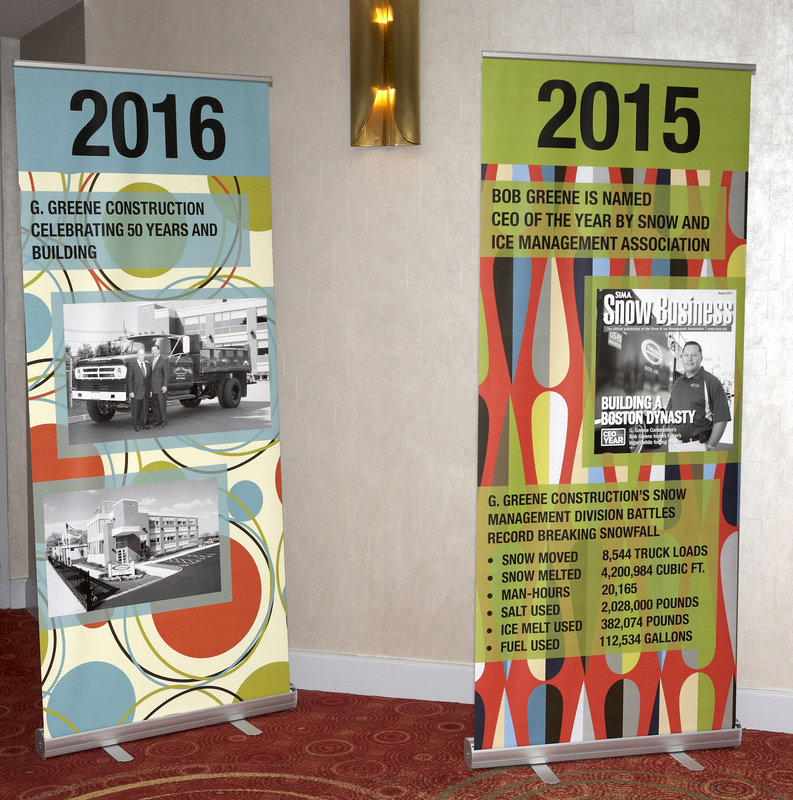 The celebration started when guests walked down towards the ballroom passing by a series of 7 custom designed banners that captured some of G.Greene Construction’s memorable accomplishments. 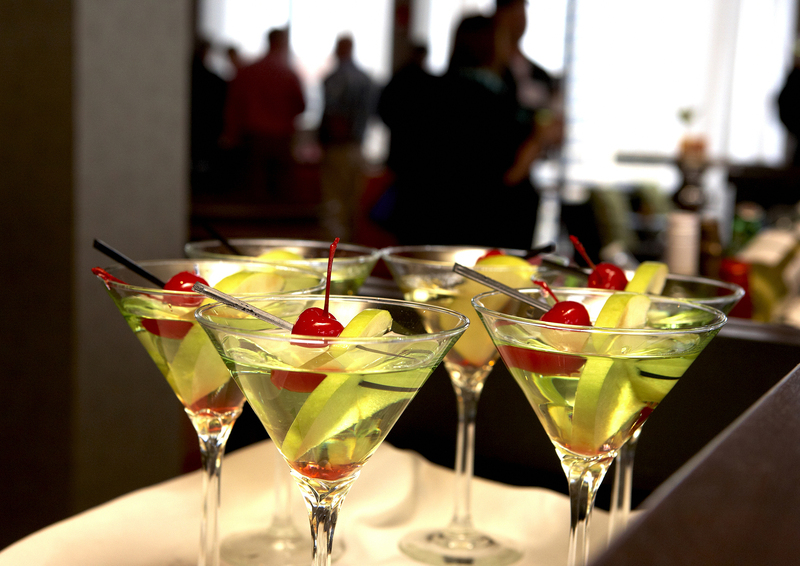 Prior to entering the main ballroom guests were treated to a signature drink cleverly named the Greentini (Apple Martini). The main ballroom space was anchored by a large custom black wooden bar designed by Reserve Modern, it was a perfect spot for guests to gather and talk. 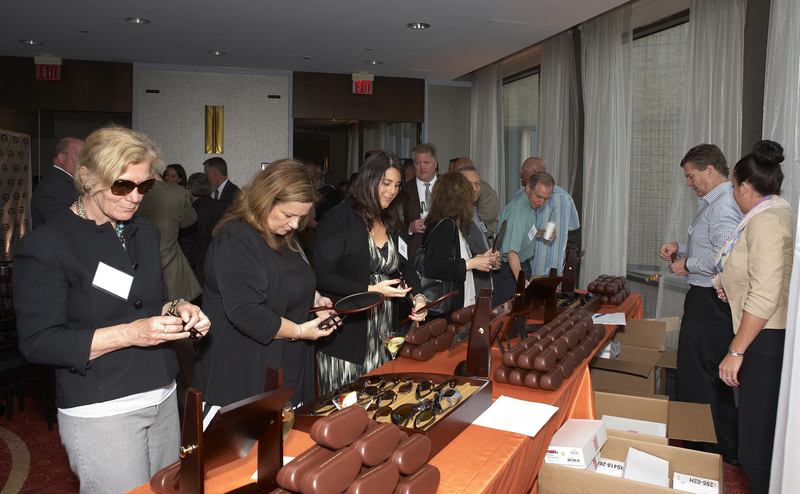 Guests were are also given the opportunity to pick out their own pair of Maui Jim sunglasses…this was a big hit! One thing we all realized after working with G.Greene for the last couple of months is that the importance of family is a large part of their company this leads me to what I think was an amazing element at their celebration. 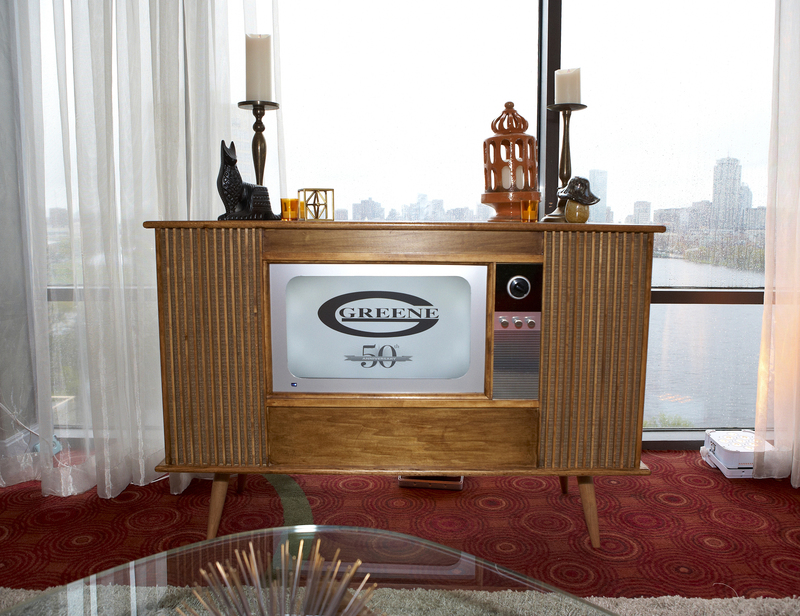 They had all these incredible photos from when the company first began in 1966 out of Gabe’s home in Cambridge, MA and we wanted a way to showcase them. 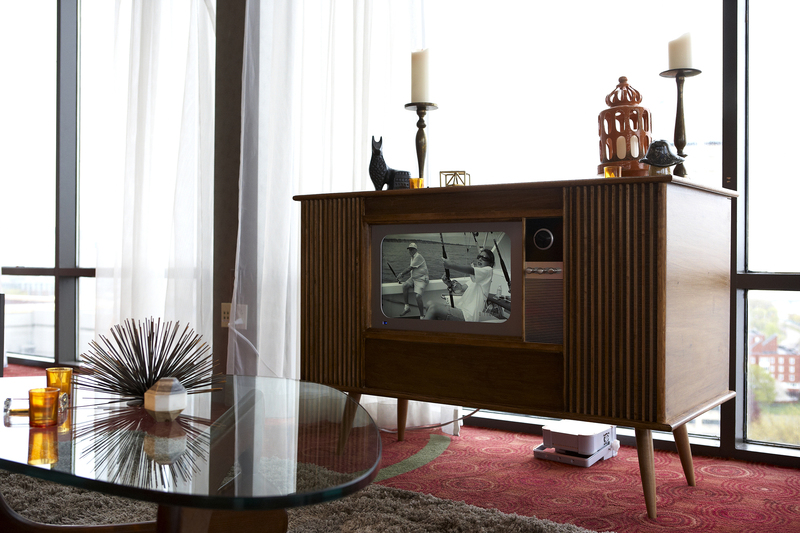 We decided a dedicated spot in the ballroom to act as a living room set in the 1960’s, with the focal point being a vintage black and white TV built by Reserve Modern. 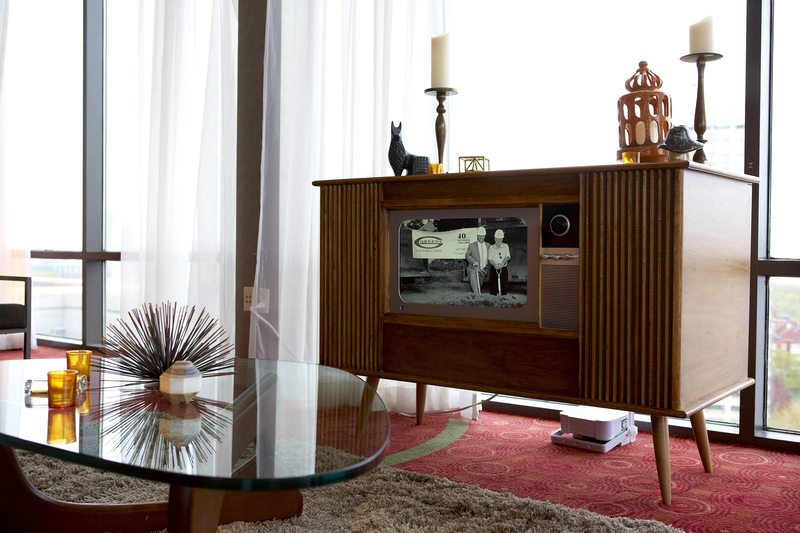 The unique feature about this TV is it actually played a movie of these meaningful photos. 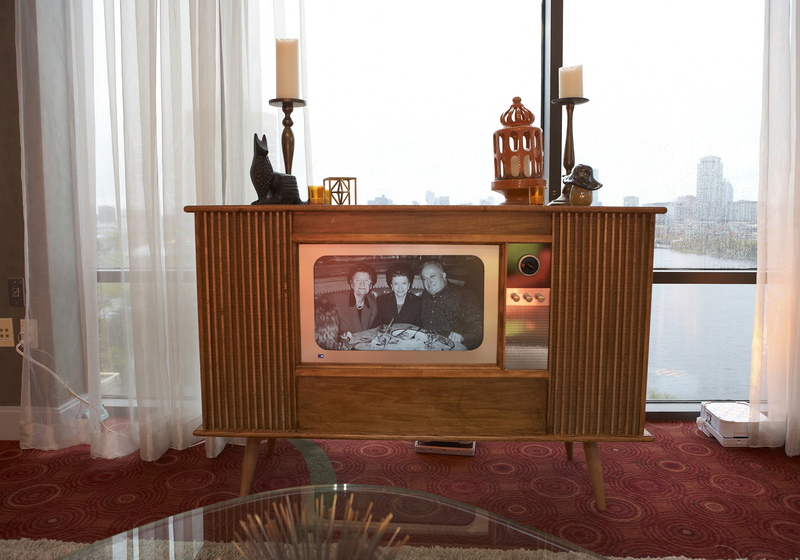 It was really moving to watch the guests and family members sit in this living room and take a trip back to a time that meant so much to this company. You could feel the sense of pride amongst the family at how far this company had come since 1966. Thank you to everyone at G.Greene it was an honor to be part of this celebration and you made us feel like part of your family…here’s to another 50!